Dr. Robert Owen opened Allergycare of Cool Springs in January, 2005. His individualized approach of treating the allergy—not the symptoms—has helped his locally-owned practice grow significantly over the years. 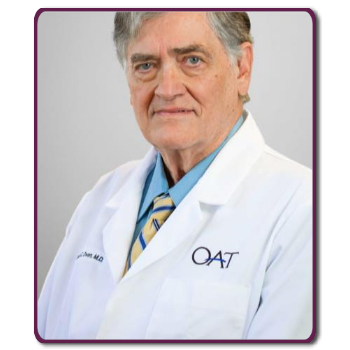 Today, more than 1000 people who suffer from seasonal and chronic allergies rely on Dr. Owen and his team to help relieve them of their symptoms. A graduate of the University of Tennessee at Memphis, Dr. Owen completed residencies in Otolaryngology (ear, nose and throat) at Barnes Hospital in St. Louis and Vanderbilt University in Nashville. Board certified by the American Board of Otolaryngology, he has served on the clinical faculty of Vanderbilt University Medical School and Eastern Virginia Medical School. Additionally, he is a member of the American Academy of Otolaryngic Allergy as well as a fellow in the American Academy of Otolaryngology—Head & Neck Surgery and the American College of Surgeons. Dr. Owen lives with his family in Brentwood, TN. Cutting-edge allergy solutions. Modern methods. As a pioneer in the use of sublingual immunotherapy in the United States, Allergycare of Cool Springs offers you unparalleled experience and expertise in administering allergy drops. While Europeans have been effectively using allergy drops for over 30 years, it is still a relatively new practice in the U.S. As a result, it’s important to be tested and treated by a professional who can manage your care successfully.